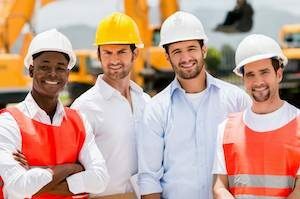 Are you working in an environment that requires you to wear work boots? Contrary to popular belief, work boots can be as comfortable as any other standard pair of boots. As such, I’m here to show you that you don’t need to sacrifice your comfort for the much-needed protection as you can easily get them both by choosing the right pair. The most comfortable work boots are made from quality materials and have a specific design that allows your feet to relax instead of getting all tensed up. And thanks to their protective features, they do a great job in protecting you against impacts and compression. At the end of these reviews, we came up with a list of things you need to consider before buying. So, read along and make an informed purchase. These boots are comfortable thanks to their great construction. The Nubuck leather upper is great in terms of cold and water-resistance, proving really insulating and durable. The rubber outsole offers a great grip and it’s resistant to oil and slips. So both these materials render the KEEN work boots weatherproof, which is a great asset for people working in inclement weather. The contoured heel lock and EVA footbed that’s comfortable and metatomical aim to make them a pair of great anatomically engineered work boots. Those, along with the asymmetrical toe protection and wide toe box, allow an excellent support for your arch, mimicking the natural shape of your foot. I love the Dry-Lex footwear lining that’s not just waterproof, but breathable as well. So not only does it prevent water getting in, but perspiration can get out so you don’t end up with uncomfortable, sweaty feet. With a free returns policy in place, these boots are resistant enough to the wear and tear normally associated with prolonged hours on construction sites, although their outsole quality isn’t one of the best. These Timberland work boots feature an alloy-reinforced toe, which renders them pretty light. Besides, the Anti-Fatigue Technology footbed is also really easy on your feet, especially if you spend lots of hours standing. I like the synthetic construction too, especially because the polyurethane midsole and outsole feel very cushiony and supportive. Speaking of which, the ghillie-style lacing provides increased support, and the mesh lining is really breathable offering reliable anti-microbial treatment. So, say goodbye to the smelly feet syndrome. On the other hand, considering these boots have an alloy toe, I wouldn’t recommend them on construction sites where you’re prone to accidents from falling objects or compression. I would always choose a steel toe protection for heavy-duty environments. These boots have the ASTM-rated ESD protection, though, which makes them perfect for high-static and electronic environments. You can find these in a wide range of sizes too, and the fit rate is a whopping 87%. Still, if you’re in between sizes, these boots might feel a bit big to you, especially if you’re used to the steel-toe ones. Another good pair of Timberland boots. The Gridworks have a smaller retail price than the Powertrain ones, and they’re great for standing all day. Being made of leather, you can rely on them for colder weather, but they might prove to be a bit too much in those hot, summer days. Plus, the all-weather TPU construction for the outsoles is another asset for low-temperature environments, especially thanks to their flat wedge design. That allows them to maintain a great traction in slippery, oily environments. The rubber sole is very comfortable too, and the 8-inch shaft proves extremely supportive, just like the fiberglass shank. And the Gridworks boast the same anti-fatigue technology and anti-microbial properties of the mesh lining, just like the Powertrains. They are said to be waterproof, but they’re only water resistant. So you can wear them without any worries in a rainy environment, but not if you constantly step into puddles. I also like their aluminum-alloy toe, making them quite lightweight considering their size and they are quite resistant to certain impacts. At a lower price than the previous two Timberland boots, these Caterpillars can be used on a construction site with confidence. Made of leather and with an ankle-high 6-inch shaft, these boots are supportive and comfortable. And the Climasphere™ sock liner can definitely attest to that. However, the padding inside might wear off in a matter of months if you’re constantly using them. I’m also not crazy about the strings, but you can easily buy newer, more resistant laces if they bother you. The synthetic sole is comfortable and cushiony, while the heel and platform are tall enough to absorb shocks. The ankle is padded and I like the mesh lining in terms of breathability, although it’s not anti-microbial like the Timberland boots. The outer sole is resistant to oil, so it’s anti-slip – a great and much-needed feature. 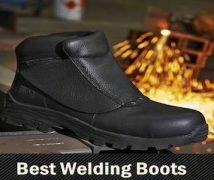 Besides, the steel toe and its general build render these boots very resistant, more so than the previous two models. They’re STM F2413-05 M/I/75/C/75 EH rated, meaning they can protect you against impacts, compression, and electrical hazards. I would confidently wear a pair of these on a construction site. The Wolverine Overman are some of the most comfortable pull-on work boots of our reviews. You can simply slip them on very fast, without having to worry about laces. The leather upper is not only comfortable but also protective against the cold. The rubber sole is cushiony too, thanks to the Contour Welt design, and I love the fact that they’re waterproof. Besides, the 9.25-inch shaft renders them quite supportive, and the 12.75-inch boot opening is very wide and comfortable. Speaking of which, the MultiShox comfort system is definitely a plus for cushioning. Their design and price range reminds us of the Timberland Gridworks, although their mesh lining isn’t anti-microbial and odor-resistant. And unlike the previous items discussed here, these work boots only have a soft toe. That makes them the least protective work boots, so they don’t perform well on construction sites, though they offer some protection against static discharges. With a stylish pink upper and double-color outsole, these definitely will make a good impression to any fashion-critic out there. Extremely protective, thanks to their steel toe with an ASTM F2413-11 I/75 C/75 rating, meaning they can survive impacts and compression up to 2500 pounds of pressure. So you will be protected from any falling or rolling objects on the construction site or any other heavy-duty environment. The whole construction is really sturdy, I love the Goodyear welt as much as the oil-resistant rubber outsoles. Besides, the Nubuck leather used for the upper is also resistant and cold-protective, not to mention resistant to water. They might also run a bit small, which is mainly because of the steel toe that makes the toe box smaller. And because steel is not the most comfortable material on the market, you might want to buy a pair that’s a half size bigger, just to put on some thicker socks. If you’re spending long hours on your feet, maybe even walking, some orthopedic inserts might be even better. Just like the Timberland Powertrain, these boots are great for a high-static and electronic environments, especially since they’re also rated ASTM 2413-11 EH. That means they can offer protection against electrical circuits with a maximum power of 18,000 volts, thanks to its composite toe. However, these boots aren’t that good for construction sites because composite isn’t great against powerful impacts or heavy compression. I love their construction though, it screams comfort and durability. The oil-tanned leather upper is really insulating and resistant, while the EVA midsole proved very cushiony. The rubber outsole is resistant to chemicals, abrasions, slips, and heat so you can basically use these boots in almost any environment. And as a bonus, all these materials render the Carhartt boots waterproof, just like the Wolverine Overman. The 6-inch shaft is really supportive, albeit ankle-high, but the 13-inch boot opening makes these boots wide and comfortable. The molded toe bumper will protect your toes if you run into something, but the real feat is the Insite footbed, made from 120,000 3D Foot scans with the purpose of providing the best fit possible. I also love the Ax Suede for the top cover which means you’ll have a great grip on slippery terrain, so your feet won’t get tired. Even if they’re in the lower price range, these Golden Fox have some qualities that put them on par with the more expensive Timberland boots, like their anti-fatigue insoles. These are great for absorbing shocks and for decreasing feet fatigue, as well as for supporting your lower back, for prolonged hours standing. The general problem with steel toe boots is that they usually have a small toe box. But these ones are actually designed with a wider toe box to specifically make sure you get a good fit, as well as a soft inner padding for extra cushioning. And just like the other affordable boots in our review, these boast a steel toe and an F2413 M/I-75/C-75 rating, meaning they perform well against impacts and compression. The leather upper is resistant and insulating. The Polyurethane Wedge Outsole reminds us of the Timberland Gridworks, as it’s really comfy and easy to clean. It also means you won’t have to worry about acid erosion, tripping, or slipping on oil. The steel shank is also extremely supportive, so you can stand on uneven surfaces for hours on end, protecting your feet from punctures. On the downside, they’re only ankle-high, and the fit is not really good, with a fit-as-expected rating of just 50%. That’s probably because of their wider toe box which can prove accommodating to your feet only if you wear thicker socks. This pair of Carhartt Men’s Boots is similar to the previous one I analyzed here in terms of construction. I can’t help but notice the same Insite technology used for the footbed that used 120,000 3D scans to deliver a perfect fit. However, the fit-as-expected rating is just 76%, 10% lower than the one boasted by our previous Carhartts. The upper is also less resistant here, it’s made from black mesh and synthetic, so it’s not as good for fighting off cold. However, it’s way better for very warm environments. The rubber outsole provides a great grip, not to mention that it’s resistant to chemicals, abrasions, heat, and oil. I also like the CMEVA midsole and the PU Strobel pad in terms of cushioning. And although this isn’t a waterproof boot, I appreciate the FastDry technology used for drying the upper faster if you step into a puddle. These ankle-high boots have a steel toe, while the other Carhartts have a composite one. But, unlike them, these ones have an ASTM 2413-11 EH rating, meaning they only provide protection against electrical hazards and not impacts or compression. Still, the EH protection is pretty good, running up to a maximum of 18,000 Volts. These Thorogood boots are more expensive, boasting some resistant steel toes that offer an ASTM F2413-11 M I/75/C/75 rating. That means they will protect you against impacts the equivalent of a 50-pound weight dropped, as well as compression of 2500 pounds. The leather used for the upper is resistant and insulating, while the polyurethane MAXwear Wedge sole provides an amazing grip and it’s easy to clean, just like the Timberland Gridworks and the Golden Fox boots. However, these boots are somewhat narrow, so you’d better get a wider size to feel comfortable. The 6.5-inch shaft renders these boots just ankle-high, while the supportive fiberglass shank reminds us of the Gridworks again. I like the shock-absorption footbed the most, as it won’t let your feet get tired, although you can take it out if you don’t like it. The Poron insole is also particularly cushiony, and the Goodyear welt is very secure. Expensive, but overall well worth it. When it comes to work boots materials, you will generally find uppers made from leather or synthetic materials, EVA or polyurethane midsoles, and rubber or polyurethane outsoles. These are all materials that provide a good level of comfort, with some provisions courtesy of your work environment. For instance, leather is more rigid than a mix of mesh and synthetic, but it’s better for cold weather, although it might be too warm and insulating for hot weather. EVA midsoles are more cushiony and breathable, but they’re not as great for cold weather either. And, regarding the outsoles, rubber ones provide a better grip, although the polyurethane ones are lighter. 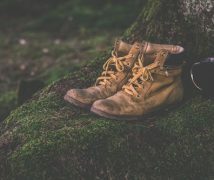 There are different types of safety toes used for work boots: steel, aluminum, alloy, composite and soft, ranging from the least comfortable to the most comfortable one. You’ll notice they run from the very hard to the very soft side of the spectrum, which explains why the least comfortable ones are those made of metal. Still, bear in mind that their level of hardness also indicates how protective and durable they are. Besides, your line of work might require you to wear a pair of boots with a steel or aluminum-reinforced toe. In that case, make sure the toe box is wide enough or that there’s a more cushiony inner lining to protect your toes. The material used for the safety toe also indicates how light your boots will be. Although work boots are pretty heavy by their nature, a harder safety toe will render them more so. Basically, the steel-toed work boots are the heavier, moving to the lighter side of the spectrum with soft toe boots. It’s obvious you need to pick the right size in order to make sure you wear comfortable work boots. 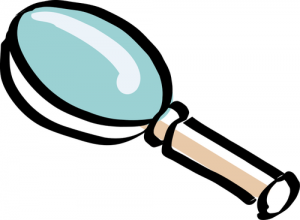 The first thing you can do, if you’re buying online, is to check you have plenty of sizes to choose from after you take a good look at the size chart. If you have wide feet, you can always choose half a size bigger. You should also remember that steel toe boots run a bit narrow, and you might need to add another pair of socks to make them more cushiony. It’s no secret that some designs are more comfortable than others. For instance, anatomical designs that take into account the natural body movements will decrease the fatigue your feet and back feel because you always have to keep them tense. Another thing to look at is how supportive the shank is. If your feet don’t wobble, it’s obvious that you’ll feel more comfortable because they’ll be kept more secure. Besides the shank, the closing system also contributes to how secure your feet are. At this point, laces might easily come undone or get looser with extended wear, so you can consider pull-on work boots instead. An additional advantage of these boots is that they’re also faster to put on, so win-win. Apart from the resistance to impacts, compression and electrical hazards offered by the materials used and type of toe reinforcement, the degree of general resistance will determine your overall comfort too. That’s because you wouldn’t want to get your feet wet if you’re working in humid conditions, or too cold if you’re working in inclement weather. 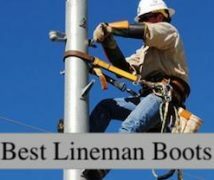 Some of the best work boots on the market have a wide range of resistances, to weather, water, oil, slips, chemical substances, abrasions, and punctures. So you need to take your work environment into account here, to realize which one of these characteristics is the most important to you. For instance, if you’re working on a construction site, resistance to hot weather, punctures, and abrasions might trump the boots’ resistance to chemical substances or cold. On the other hand, if you’re working in an electrical environment, make sure your boots are resistant to static energy, as well as chemical substances. We’ve taken you through a series of amazing, comfortable work boots with different characteristics. With different ratings and various sorts of reinforced toes, made from a wide variety of materials and for different purposes, these boots compete in terms of reliability, comfort, and overall design. So now that you’re here, tell us what you think. What’s your work like? Which pair of boots sounds the most appealing? Which would you never buy? Let us know in the comments box below.